Are you looking for the beautiful sculpture gardens in North Carolina? Look no further! We have an in-depth list of the best NC sculpture gardens right here for you to look through. North Carolina's Newest Sculpture Garden! 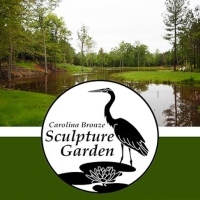 Carolina Bronze is a premier fine arts bronze foundry, specializing in bronze casting and fabrication, that serves clients all over the world! Now presenting North Carolina’s newest sculpture garden to educate and inspire the community with a collection of donated sculptures that show case artists working in all 3D media. The garden is all natural landscape overlooking a 1.25 acre pond with a trail, benches, picnic area, and plants and trees native to the NC landscape to attract birds, butterflies and wildlife. Visit this new beautiful contemplative garden today! 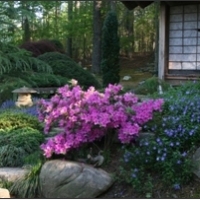 Extensive Japanese Display Garden in North Carolina! The wonderful Natural Stones Sculptures is being owned by the renowned Phil Hathcock. This art gallery and garden which is located in North Carolina, displays a collection of Japanese tradition landscape gardening, garden furnishings and natural sculptures. Phil Hathcock’s style in art customizes to client’s landscaping needs with healing and restorative ways of nature. Each landscape or garden becomes uniquely peaceful, beautiful and a creative expression of the essence of nature. Make sure you visit this NC sculpture garden and have a great day outdoors! Spectacular sculpture garden in North Carolina! See the spectacular garden sculptures which complement the beautiful setting of the eleven acres of land in this wonderful garden in North Carolina. Visitors will surely enjoy strolling through the ivy-bordered pathway and the well-maintained lawn. Panoramic views across the valley to the nearby Blue Ridge can be seen. Art, craft, history and Old World charm can also be experienced at Grovewood. It has earned its reputation as being one of the top retailers for American craft. Be amazed with exceptional outdoor pieces! 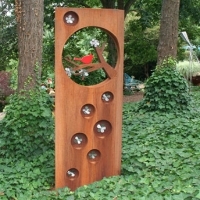 Be amazed with exceptional and outside the box concepts at Garden Art Gallery in North Carolina. Find pleasure with outdoor art pieces that will withstand rain and sun. Have a pleasant walk to view different collections from large sculptures built in a public space that will surely catch your attention or check out an intriguing new plant on a small garden path. 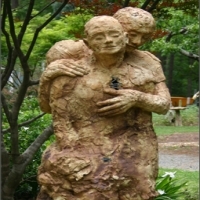 You will find amazing pieces of art when come visit this sculpture garden in North Carolina. Unique Metal Sculptures for your Gardens! 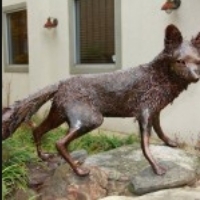 Grace Cathey is the premier metal sculptor that is behind Grace Cathey Sculpture Gallery and Garden in NC. Her works have become very famous in North Carolina and in other part of the States. Everyone will surely be amazed with the craftsmanship that Grace has shown especially with her metal works. This very talented artist has already created and sold hundreds of art pieces that have already been displayed in commercial and residential places. Exceptional sculpture garden in a state university! Be pleased with the exceptional sculpture art works of Roberto Bertoia, Tyrone Mitchell and Beverly Buchanan around the auditorium of Winston-Salem State University in North Carolina. This dream sculpture garden in NC arose over twenty years ago and has been inspiring a lot of visitors since then. Many have been inspired to visit this sanctuary not only to get fantastic art ideas but also to relax after long hours of time spent indoors studying and working in the university. Magnificent Modern and Contemporary art in a Sculpture Garden! The Weatherspoons Art Museum in North Carolina features a brick-paved sculpture garden embellished with natural plantings, flowers, shrubs and cozy seating which all nature lovers and art seekers will surely love. This 7000 sq ft garden features a magnificent display of sculptures by modern and contemporary artists as one of their permanent collections. Make sure you visit this NC sculpture garden to see amazing pieces of art! Whimsical Garden Creatures in North Carolina that will surely captivate your attention! 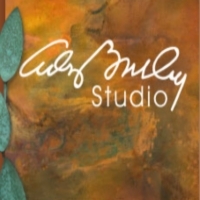 The Bucolic setting and his lifetime love for the nature sets a great tone for the Andy Brinkly studio in North Carolina. The imagination that he puts into his work came out very good from the small whimsical garden creatures to indoor and outdoor fountains to distinctive wall sculptures that will surely please nature lovers. Whether you are an avid art lover or simply love to look at amazing sculptures, this NC sculpture garden is a great place for you! Beautiful Historical Garden in North Carolina! 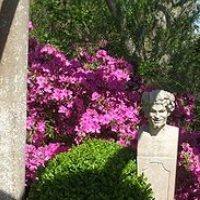 Airlie Gardens is a lush, flowing, naturalistic Southern Garden that was once a private garden created By Mrs. Jones. Be attracted with the beautiful flowers that surround this garden in North Carolina, such as Azaleas, Magnolias and Wisteria. Through the years it was developed into a picturesque garden and was opened to the public. With today’s life which moves too fast, everyone will find peace and pleasure that this sculpture garden in North Carolina offers. 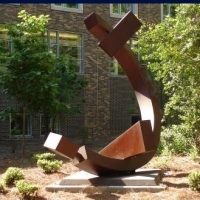 Fantastic University Sculpture Garden in North Carolina! 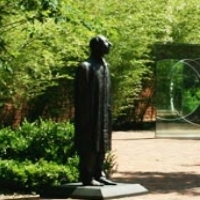 The Beber Sculpture Garden in North Carolina was made possible by the generous gifts of Bob and Joan Beber. This wonderful sculpture garden was planned to create a special outdoor venue for the community. And for years, it has been enjoyed not only by students and educators but also by different visitors across the state. 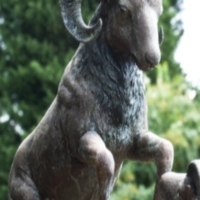 Located, in Duke Law University in Durnham, the Beber Sculpture Garden features fantastic wood, stone and metal sculptures that will surely captivates its visitors. Elegant sculpture Garden in North Carolina! 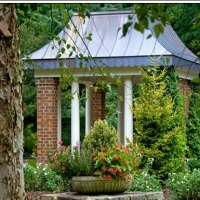 Tanger Family Bicentennial Garden in North Carolina has been a popular and relaxing retreat due to its massive annual plantings and bronze sculptures. A wedding gazebo on this 7.5-acre garden adds an elegant touch to the setting. A variety of sculpture throughout the garden which provides artistic and historic interest will surely inspire nature and art lovers. Make sure you stop by this amazing sculpture garden to the wonderful art that North Carolina has to offer.